Ruozhe Xue, b. in 1987 in Xuzhou, China Lives and works in London. 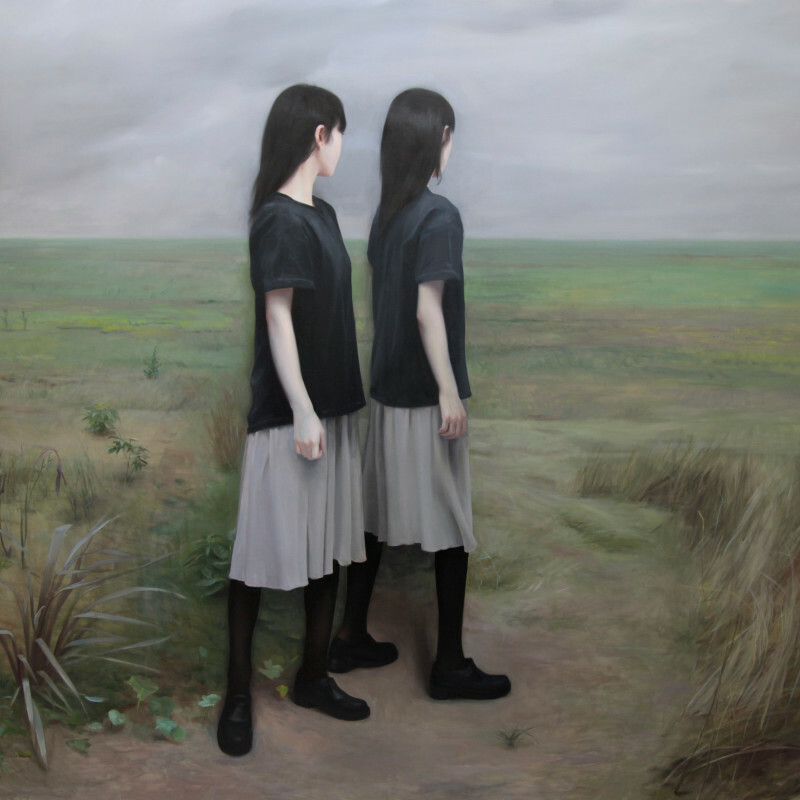 Ruozhe Xue straddles the thin line between realism and dreamlike, surreal imagery. His canvasses are pervaded by a cryptic aura, skillfully emphasized through the use of dark tones that cast a sense of timelessness and suspension upon the figures. The missing context, very often hidden or dissipating into vagueness, eludes any plausible attempt to unravel the enigma.